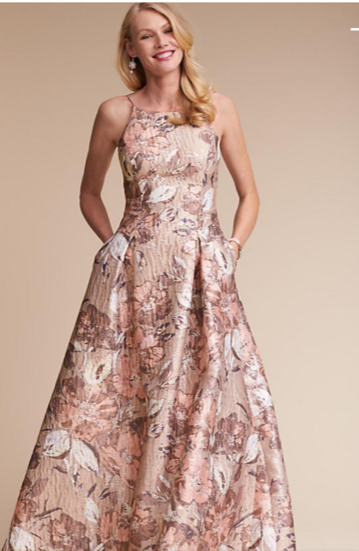 Beautiful blush patterned full-length dress from BHLDN Anthropologie. 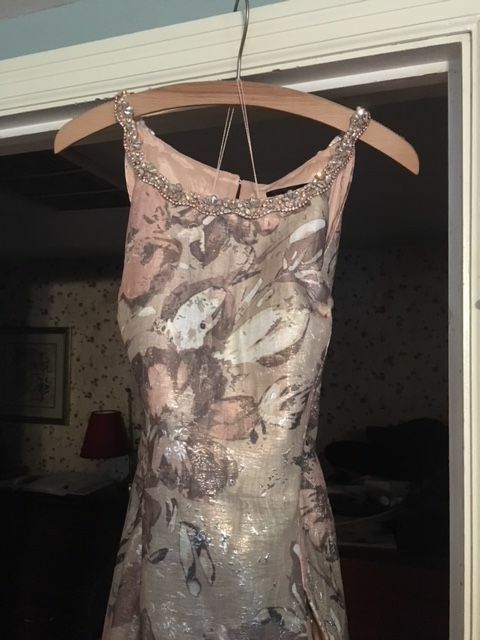 Dress is size 10, never worn. It has been altered, but can be fitted to another individual or to original state. Also, embellishment along neckline has been added, but can be easily removed. Original purchase price was $450.